Only 5 4WD Crew Cab 167.7 Work Truck models left in stock! Turbo Charged, 4x4, Back-Up Camera, Trailer Hitch. SUMMIT WHITE exterior and DARK ASH / JET BLACK ACCENTS interior, Work Truck trim. READ MORE! 4x4, Back-Up Camera. Electronic Stability Control, 4-Wheel ABS, Vinyl Seats, 4-Wheel Disc Brakes, Tire Pressure Monitoring System. ENGINE, DURAMAX 6.6L TURBO-DIESEL V8, B20-DIESEL COMPATIBLE (445 hp [332 kW] @ 2800 rpm, 910 lb-ft of torque [1220 Nm] @ 1600 rpm) Includes capped fuel fill, (K40) exhaust brake and (K05) engine block heater. ), WT CONVENIENCE PACKAGE includes (AKO) tinted windows, (KI4) 110V outlet, (AQQ) Remote Keyless Entry and (A91) remote locking tailgate. Double Cab and Regular Cab includes (DPN) outside heated power-adjustable vertical trailering mirrors. 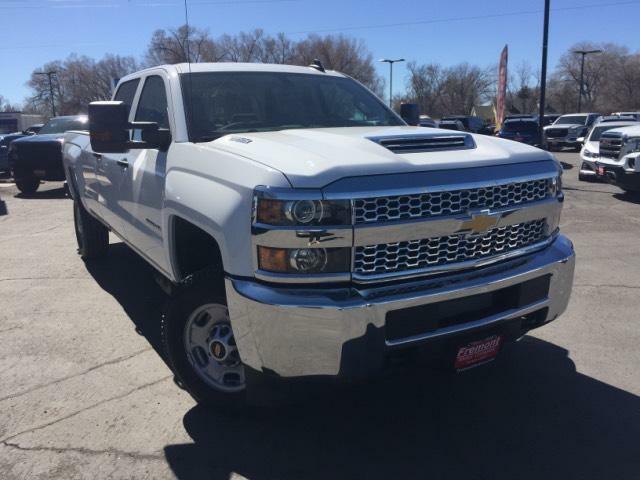 Crew Cab includes (DL8) outside, heated power-adjustable mirrors. TRAILERING EQUIPMENT Trailering hitch platform 2.5 with a 2.0 insert for HD, 7-wire harness with independent fused trailering circuits mated to a 7-way sealed connector to hook up parking lamps, backup lamps, right and left turn signals, an electric brake lead, battery and a ground, The trailer connector also includes the 4-way for use on trailers without brakes - park, brake/turn lamps and includes (JL1) integrated trailer brake controller. MIRRORS, OUTSIDE HEATED POWER-ADJUSTABLE VERTICAL TRAILERING, UPPER GLASS, MANUAL-FOLDING AND EXTENDING, BLACK; Includes integrated turn signal indicators consisting of 51 square inch flat mirror surface positioned over a 24.5 square inch convex mirror surface with a common head and lower convex spotter glass (convex glass is not heated and not power adjustable) and addition of auxiliary cargo lamp for backing up (helps to see trailer when backing up with a trailer) and amber auxiliary clearance lamp Includes (DD8) auto-dimming inside rearview mirror. 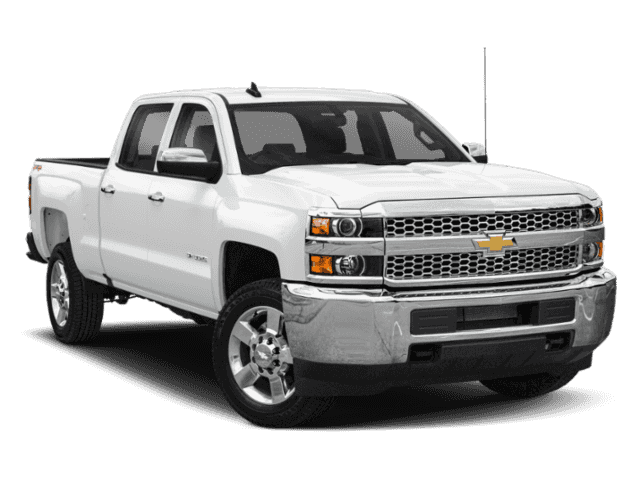 Chevrolet Work Truck with SUMMIT WHITE exterior and DARK ASH / JET BLACK ACCENTS interior features a 8 Cylinder Engine with 445 HP at 2800 RPM*.